8.5 steps to team building! 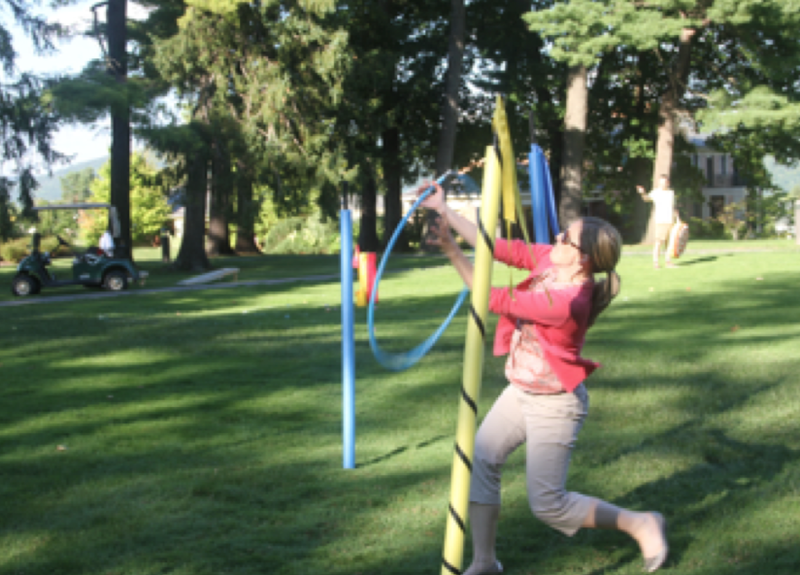 Our mission is to provide an educational, entertaining and an enjoyable environment with indoor and outdoor team-building activities for corporate events and outings before or after conferences. 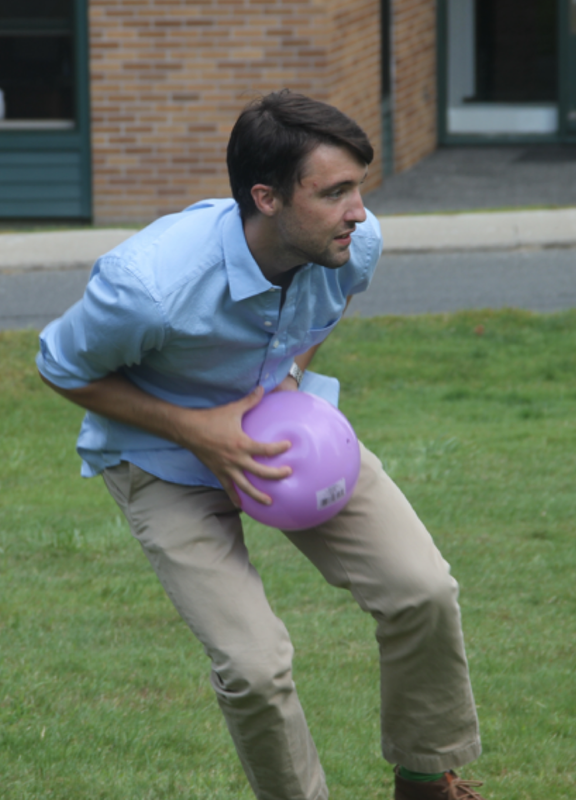 Loosen your team up, keep them energized and focused with activities during meeting breaks. Prepare your sales team and executives for comfortable and confident play- don’t let them lose that deal because the competitor was on the golf course! From fun, recreational activities to our Golf 8.5 “Discover the Golf Swing” workshop, eduKaytion Golf has been providing valuable entertainment to companies and clients for 15 years. 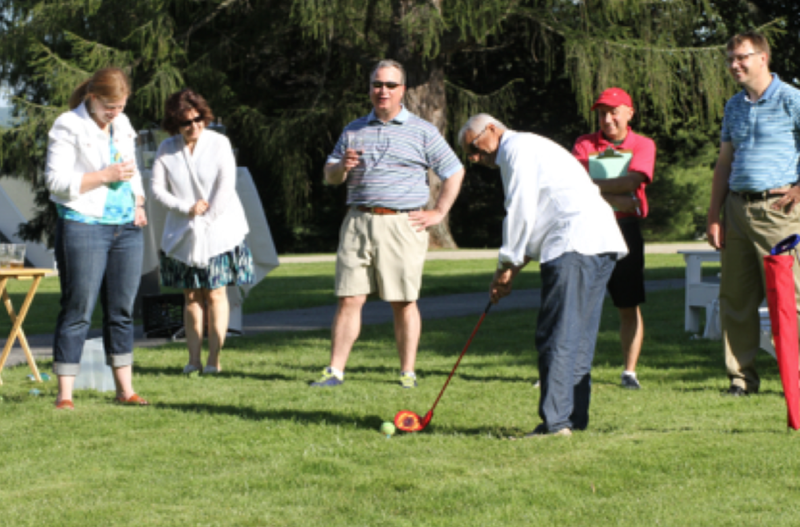 Many of our corporate clients utilize our services for fun team-building activities , as well as our Golf 8.5 Workshop Experiences to either learn or to improve their games! The Golf 8.5 Experience is a unique, simple, easy approach to golf which can be utilized for business, recreation, and health reasons. Golf teaches and develops attributes of honesty, integrity, social or interpersonal skills, risk- taking, planning, having a vision, adjusting, evaluating and assessing situations, decision- making, personal responsibility, and recognizing and controlling emotions...all while having fun. 8.5 SIMPLE STEPS - Guaranteed! 1, 2 or 3-day workshops for any skill level from beginner to advanced. Golf 8.5 is a simplified method of learning or improving your golf swing. You will understand why the ball goes where it goes. You will have less reason to self-destruct and more ability to self-correct. Golf 8.5 guarantees a more successful golf experience. That’s a money-back guarantee!